Fighter pilots are the elite of the elite. It can take years of training to produce a fighter pilot and even longer to produce a plane that is worthy of their skills. 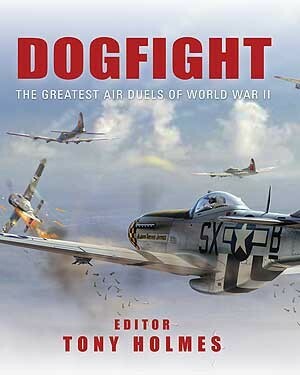 Yet a dogfight can last only minutes. Discover what it felt like to be a fighter pilot during World War II, flying some of the most iconic planes to have ever graced the skies during combats when both man and machine were tested to the limit. 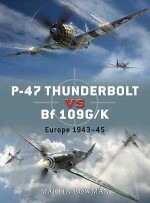 This volume reveals the greatest aerial match-ups which have become the stuff of legend, from Spitfires battling Messerschmitts over the skies of Southern England to Fw 190s attempting to turn the tide against the ever-advancing Mustangs of the 8th Air Force during the dying days of the war. Tony Holmes has worked as Osprey's aerospace editor since 1989, having previously served as an author/photographer for this publishing house in Australasia. 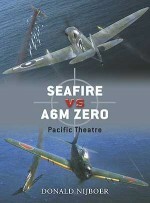 He established the critically acclaimed and hugely popular Aircraft of the Aces series in 1994 and has worked on the successful Duel series, also for Osprey Publishing, since its launch in 2007. He is widely acknowledged as a leading expert on all periods of aviation history although his personal love is for the Battle of Britain which he has written about extensively in a number of well received titles.